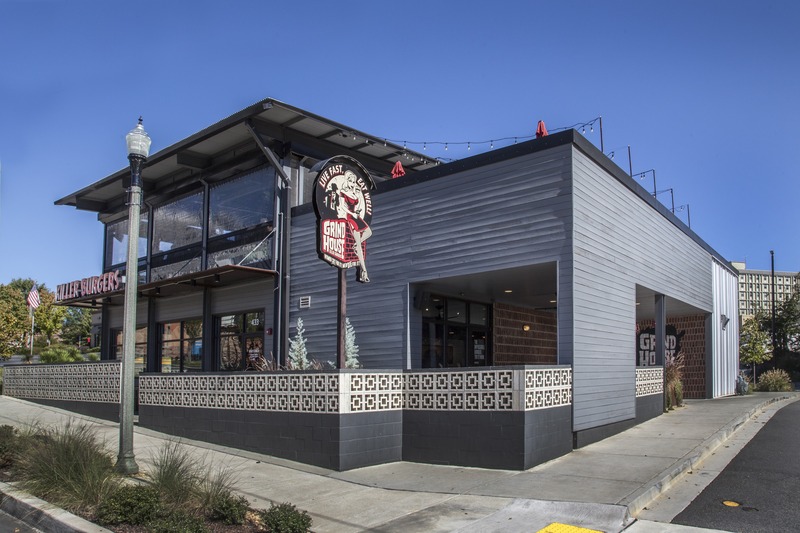 Constructed on North McDonough Street, the two-story restaurant includes a walk-up order counter and a 100 seat dining room downstairs, with a full bar, and family and dog-friendly patio seating. The rooftop patio has a seating area for 150. Twenty-five parking spaces are located on-site. 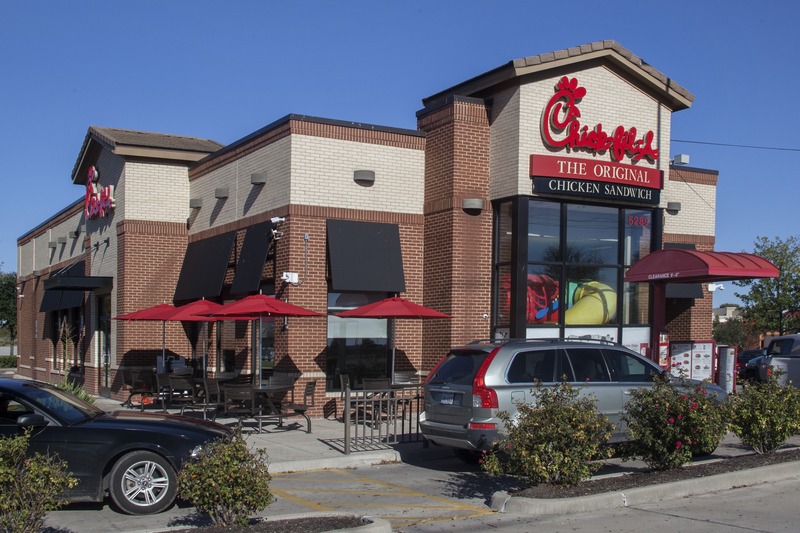 Chick-fil-A’s national expansion program became the impetus for the founding of Long Engineering. For over 10 years J. Ellen Long, PE was responsible for selecting and training regional civil engineers, developing site standards, providing quality control, and value engineering for each site developed. The new Bluestone Road providing the north-south axis through the City Springs site culminates in Market Square that is the retail hub of the 14 acre site. 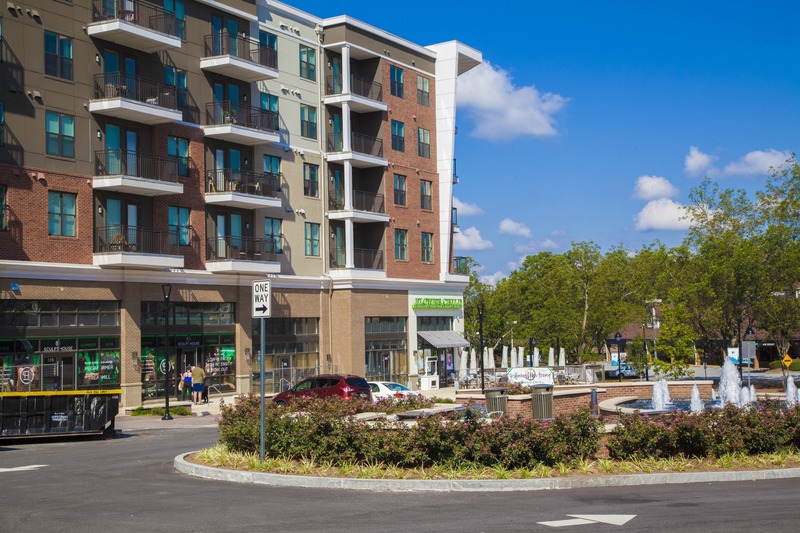 The retail component has 28,000 square feet of retail that includes restaurants and specialty shops.